Juliana Cerqueira Leite's exhibition, The climb is also the fall, is concerned with embodiment. The large organic forms of her sculptures explore the history of figurative art and how volition can be expressed in form. 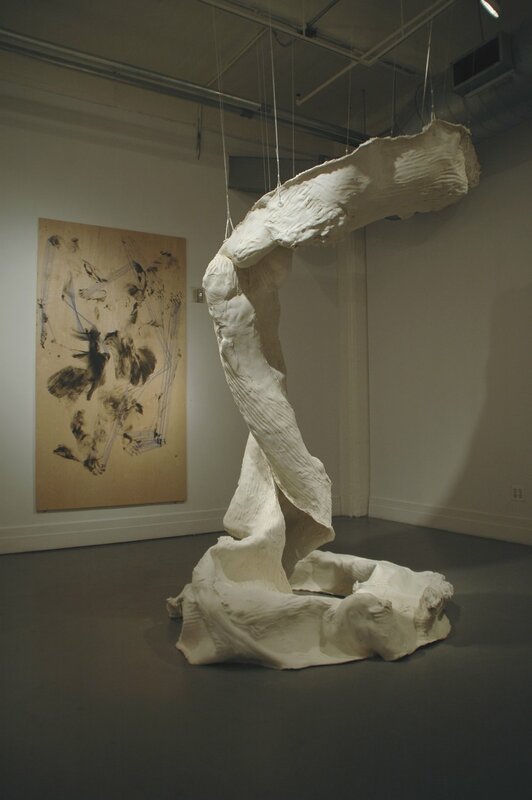 The process of making the work is physically demanding: the hollows and masses within the pieces are a direct imprint of the artist's physical engagement with her materials, and mark the artist's physical proportions. Leite's drawings, photographic works, videos and performance pieces also explore movement and physicality. Throughout her practice Leite makes use of repetitive actions, such as digging, falling and crawling. Basic movements, combined with ideas of possession, separation, material resistance and memory ultimately produce a body of work that presents new physical forms.